Video is a great way to bring candidates and companies closer to each other. As the technology is readily available it makes a lot of sense to use it for both parties’ benefit. And the companies try to find out who is a great candidate for them. Video interviews will significantly help in answering these questions. Corporate videos are a basic marketing action where the employer wants to show what life is like in their company. When the candidates are looking at job opportunities, the corporate videos are a nice way to display the company culture. Every company claims that they are innovative, successful and an international growth company that only hires the best candidates. Instead of just writing these word, show it! A relaxed video can support the message you want to convey. A good mix of the CEO’s greetings and employee stories does the job nicely. If the candidates can see the office environment, it’s even better. In a normal process the candidates submit a written application to the company and the company selects whom they want to interview for the job. Many openings attract a lot of candidates and using a recorded video interview fits this situation nicely. Recruiter records the questions once and sends the questions to the potential candidates. Compared to phone interviews this is an effortless way to get to know the candidates in the first phase of recruitment. The recruiter can make a “long list” of the candidates with relatively little work and invite a few more to the first interview round if he uses a recorded video interview. Good practice in video interviews is to keep it short and nice. Make one introduction video and three questions. The candidates get 3 – 5 days time to record their answers and explain why they would be the perfect candidate. As the recruiting line manager makes the questions on video, the candidates will get a good feel for the possible new manager early on in the engagement process. Many companies do this, but our prediction is that 90% still don’t. This process works for the frequent recruiter as well as the infrequent recruiter. When you expect a wide audience to apply to your open position, you could consider inserting an interview question to the application form. Typical positions for this method could be summer interns, trainees and sales roles. The employer would like to get maximum material from the candidate with minimum effort from the candidate’s side. This can be achieved with a nicely designed application form (that is easy to fill in) that allows maximum use of other existing material in the internet (like a LinkedIn profile). As everybody want’s to hire the best candidates, one should remember, that the best candidates do not want to spend 45 minutes in compiling a job application. You can esily publish an open position with RecRight and, for a full impact, ask one video question already in the application phase. With a spontaneous video reply they can sell themselves to the job interview and this way you will get much more comprehensive image of the candidate right from the start. Skype and other video calling tools have paved the way for real time video interviews. 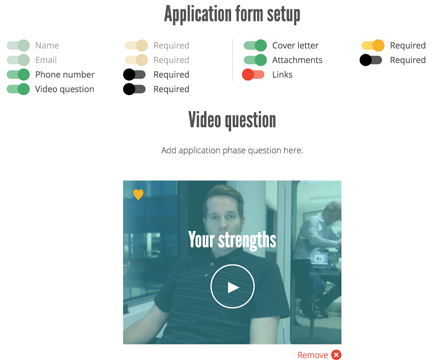 With a live interview feature the recorded video interviews can be followed up and taken to the next stage in the recruitment process. The live interview can also be recorded for further use in case you want to share it with colleagues that cannot participate in the video interview when it takes place. 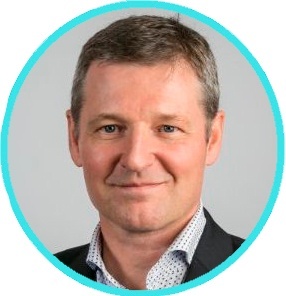 Obviously a “real life” interview in the company’s office is better at this stage, but video can reduce travelling and help both parties in evaluating when it doesn't make sense to travel for the interview. We have had a lot of discussions about the nature and place of video interviews in recruitment. One topic that often comes up is the possibility for the candidate to re-record his or her answers. In the name of humanity, we and users of video interview feel that this is the right way. It makes sense to allow a re-recording because anything can happen during the time your candidate has set aside for replying your video questions: the baby may wake up, the door bell may ring and even the unlikely event of internet connection failing may occur. From the work flow point of view recorded video interviews often replace phone interviews as the first step in the interviewing process. As video is a new medium it also deserves a new approach to this stage of the process. Telephone as a consumer application has been around for about 100 years but webcams and video calls have been available for roughly 10 years. Recruiters have told us that video interviews can save up to 50% of their time used in recruitment. The recruiters advise the candidates to relax and focus on showing their personality in their replies. In a successful video interview the recruiters do just the same: let your personality and company culture show in a human way. Have you had a chance to participate in a video interview yet? 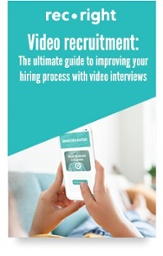 Download a comprehensive eBook about different ways of using videos in recruting.